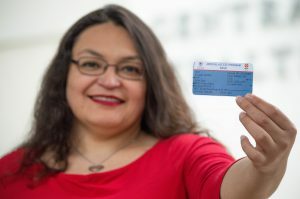 (Austin) – Central Health, Travis County’s healthcare district, has expanded its Medical Access Program (MAP), offering health coverage for more Travis County residents with low income. The new program, called MAP BASIC, began enrollment on April 1 for uninsured Travis County residents living at or below 200% of the Federal Poverty Level (FPL). For a single person, 200% FPL is $24,280 annually. For a family of four, it’s $50,200. More than 1,000 people enrolled in MAP BASIC the first week, and it’s estimated there are more than 43,000 uninsured residents that will enroll over the next 12 months. MAP is a local health coverage program funded by Central Health for Travis County residents living at or below 100% of the Federal Poverty Level not eligible for other coverage such as Medicaid/CHIP, Medicare, or private insurance. Every month MAP has approximately 28,000 members, each of whom receives a health plan card that gives them access to benefits similar to private health insurance, such as primary and urgent care, prescriptions, specialty care, and hospital care. MAP BASIC offers fewer benefits and has higher copays than the traditional Medical Access Program, but still covers basic health services like doctor visits, behavioral health, and most medications prescribed by the person’s doctor. MAP BASIC will be offered at Central Health-funded CommUnityCare Health Centers (CUC) and other clinical partners that contract with the Community Care Collaborative (CCC), Central Health’s nonprofit partnership with Ascension Seton. Clinics include El Buen Samaritano, Lone Star Circle of Care, and People’s Community Clinic. Once enrolled, MAP BASIC members are assigned a Primary Care Provider (PCP) clinic system (i.e. CommUnityCare), but may go to any of the contracted clinics. Like traditional MAP, MAP BASIC also offers a pharmacy benefit. With MAP BASIC, eligibility criteria, like a patient’s household income, and copayments for services are defined by Central Health and the CCC, and standardized across all providers. The CCC manages the delivery of health care. “We believe this will reduce confusion for patients and make it easier for providers when it comes to managing payments and billing,” said Jonathan Morgan, Executive Director of the CCC. Central Health took over the Medical Access Program from Austin and Travis County in 2004. Since 2008, annual enrollment numbers have more than doubled. In fiscal year 2018, a total of 46,751 unique individuals were covered by MAP. Additionally, the number of primary care locations for MAP members doubled in 10 years, from 14 to 28. To find out if you’re eligible for MAP or MAP BASIC, call 512-978-8130.